The home of BBC Radio 1's Live Lounge. Matt Smith and Karen Gillan join Fearne, plus the voting for the best Live Lounge of 2010 kicks off. The stars of the BBC’s Dr Who come in to chat to Fearne. Find out which of the two is a big fan of Girls Aloud and why Matt thinks Karen is a ‘ginger praying mantis’. Also in the show, Fearne starts her search for the best Live Lounge performance of 2010. You voted Ellie Goulding’s cover of Sweet Disposition through to the next round. 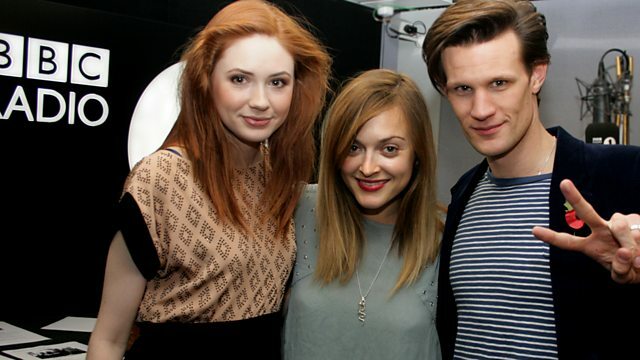 Matt Smith and Karen Gillan join Fearne in the studio. Get the hottest entertainment news stories of the day!